The Surgery is closed from 6pm to 8am, weekends and Public Holidays. 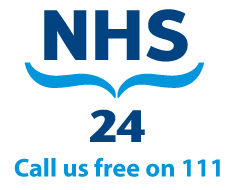 During these times please call NHS24 on 111. If you feel your condition is an emergency call 999.